It has been very hot in central Texas the last few days and we have been hitting the popcicles a lot. The icecream truck came by yesterday and had a pictue of a bomb pop on the side of it. 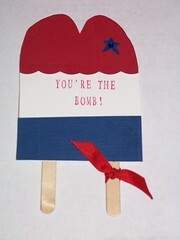 I have made popcicle cards before but never a bomb pop. I combined my bomb pop with the 2 Sketches 4 U card sketch for this week and this is what I came up with. 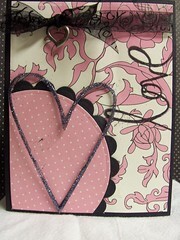 I check out 2 Sketches 4 U weekly but rarely try the challenges. I tried this week's sketch challenge. There are always so many interesting takes on the great sketches that come from this blog. 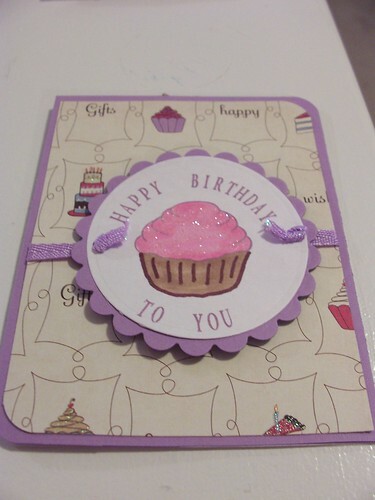 Of course my husband told me this card is ugly but then he also said it was orange and purple so I'm opting to ignore the ugly part (if you think it's ugly I hope your filter is working better than his!). 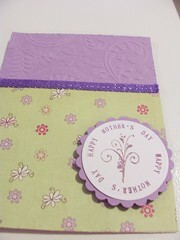 I used some bits and pieces I had lying around the scrap room. 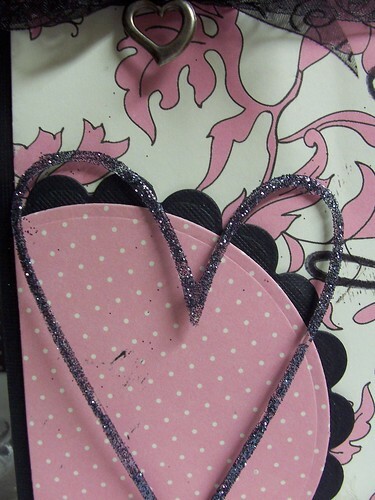 I wish I had more of the acrylic hearts as I have loved using them on cards to add dimension. 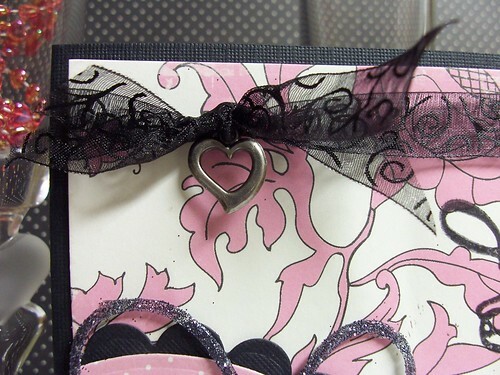 I finally used the love stamp I've had for a couple of years and I always have the shear ribbons in my ribbon bag.